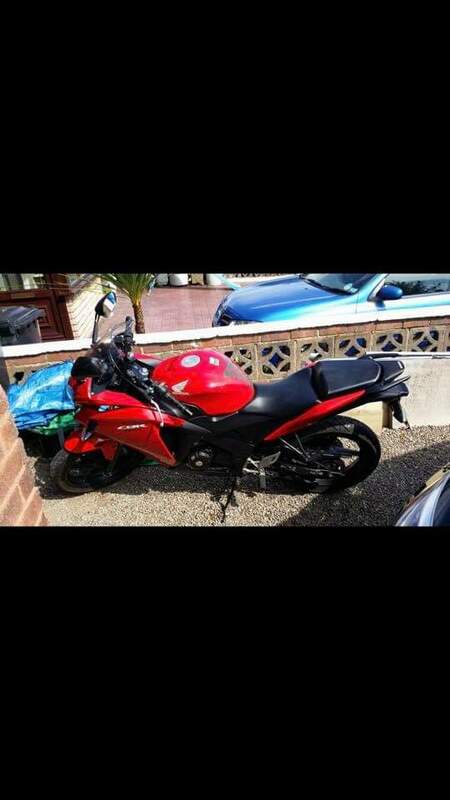 Excellent condition, red and black honda cbr125 .bk14 ozm. Was no damage on it when stolen. Has green data mark sticker near fuel tank.Has an L plate attatched to rear number plate which has left hand corner of reg plate broken off. No L plate on visor at front of bike. Was at work eurocraft enclosures cinder bank netherton dudley stolen from side of building sometime before 2pm and 5pm.